When building a new house with Mathieu Brothers, you can feel confident that your home is receiving the best care possible. As experienced new house builders, we promise to treat your home and your construction visions as if they were our own. When we build your home, we do not just build a house, we design and construct your dream home. The only way to assure that your home will be up to your ultimate standards is to work with our customer-centered construction contractor company. We begin by working individually with each one of our clients, build individual relationships with our clients, and genuinely want to get to know you. This is the best way for our contractors to understand exactly what you’re looking to accomplish, and to design the home you’ve always wanted. Although building a new house from the ground up is a very exciting idea, the task itself can become overwhelming if you try to do it all on your own. As your main point of contact, we do the hard part for you–communicating between designers and vendors, ensuring that your project is completed on time, and meeting your budget and timeline. To make the process of building a new house as hassle-free and exciting as possible, we believe in doing whatever it takes to make your vision come to life. From the initial construction plan to the finishing touches, you can count on Mathieu Builders to build your new home. 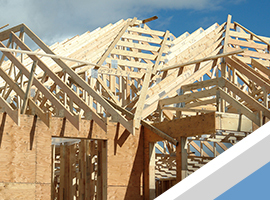 For more information about our new home construction services, contact our expert contractors today and schedule your free consultation.